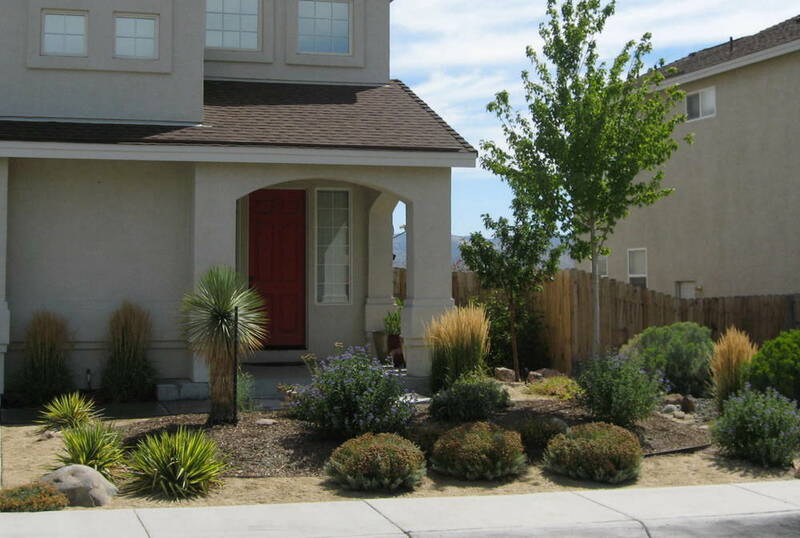 Here are some examples of the landscapes we have created from Gardnerville, Carson City, and up to south Reno. A blend of native and regionally-appropriate plant material. Raised beds constructed using Stonewall II block. A pondless water feature in the fall. A built-in gas fire pit with bench seating for six. 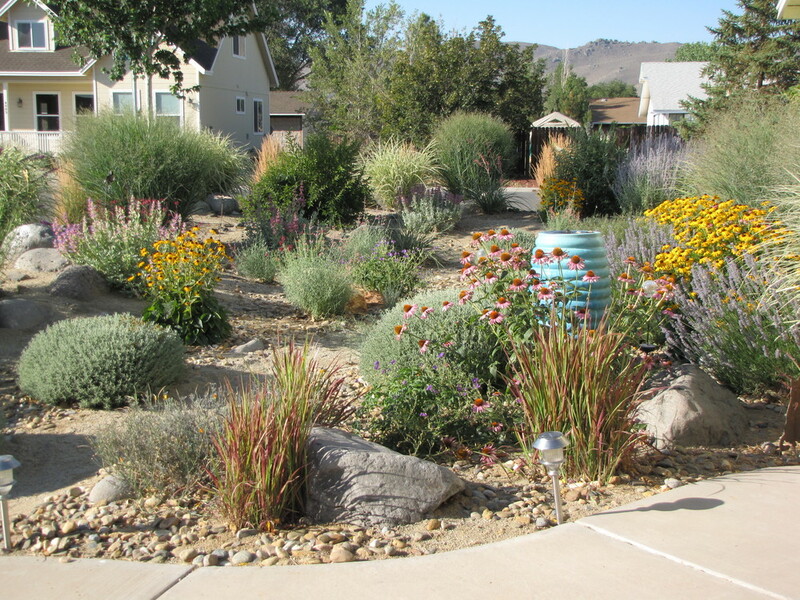 This yard is also a Certified Wildlife Habitat from the National Wildlife Federation. A small courtyard full of color and four seasons of interest. A small yard with high interest that used to be just lawn. 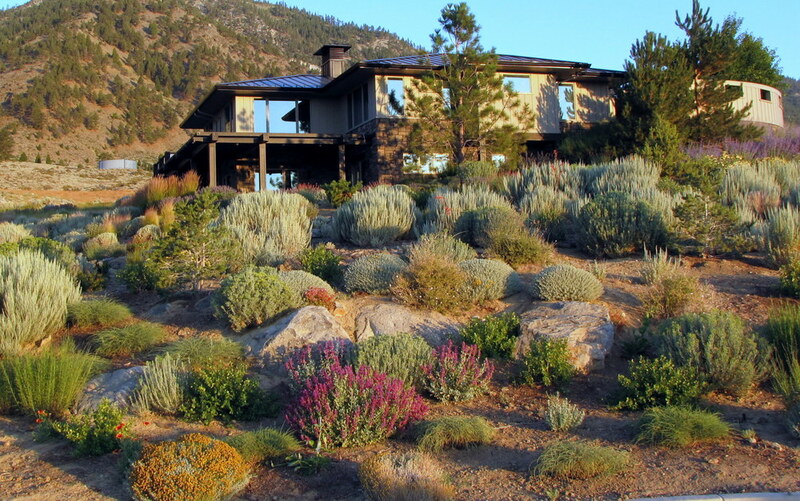 This landscape won the President's Choice award from the Nevada Landscape Association. A long, narrow yard with contour to help add interest. A pondless water feature helps create a peaceful atmosphere near the patio.